I never write about wine because it’s honestly still a little intimidating. Since beginning dating a special someone years ago I developed an interest. After a visit to Switzerland I brought back some amazing cheese, chocolate and a bottle of wine. Since it was 7 years ago the name is lost to time though I know it was of the Cotes Du Rhone region and a red wine. While the wine seemed like a nice gesture I had no idea if it was good. Additionally I had no idea about food pairing. Getting off the subway though, what goes better with wine than a roast beef sandwich? As it turns out, nothing works better. Here is the secret: A bodega roast beef and swiss sandwich with mayo and lettuce is actually the best food pairing with red wine. The more you know, right? Yesterday I got to try the combination again and it was glorious. These days I have a better sense of what I like. I paired the sandwich with one of my favorite types of red, Pinor Noir. 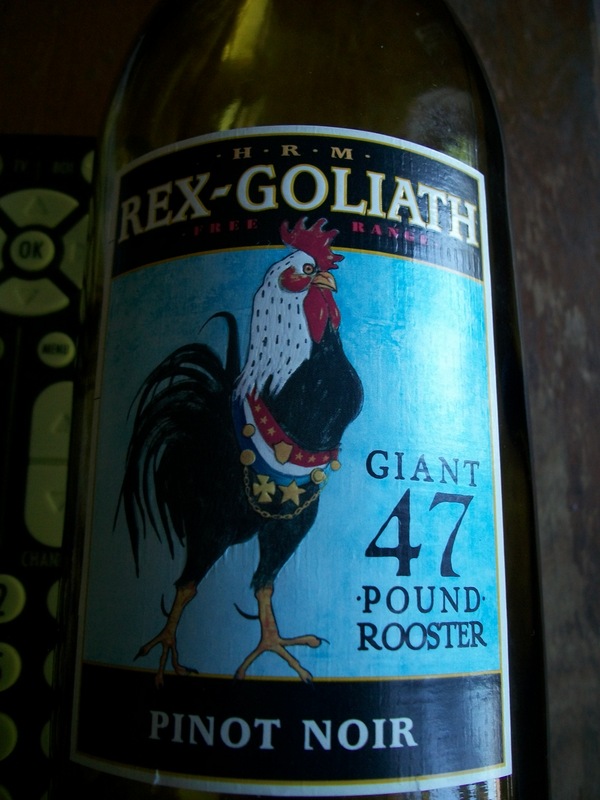 My goto Pinot Noir is Rex Goliath. ($6). It’s decently fruity without being too over the top and is very drinkable. Do you have any food and wine combinations to recommend? My name is Blaine Rueber and I work for Hunter Public Relations. Please email me at the address I provided on the form below.